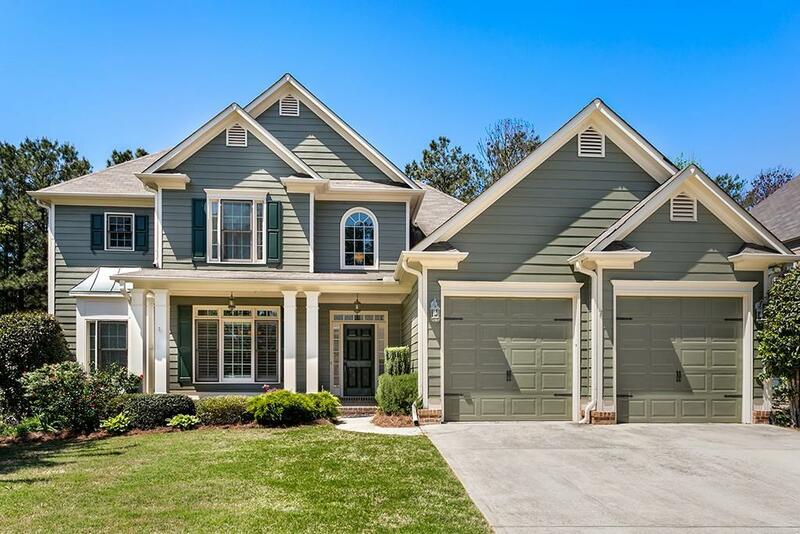 Stunning cul-de-sac, 2 story foyer, 5 bedrms/4 bath home in the desirable Seven Hills community. Eat-in kitchen with granite countertops & an open view to the cathedral, fireside family rm. Separate dining rm & hardwood flrs throughout the main level. Oversized master ensuite on the main floor with trey ceiling, double vanity, separate tub/shower & walk-in closet. Finished basement with a bedrm, recreation rm & full bath. Entertain on the patio/deck overlooking the private, wooded yard. New interior paint, new carpet, recent exterior paint, storm rm. This will not last! Sold by Lakepoint Realty Group, Llc..